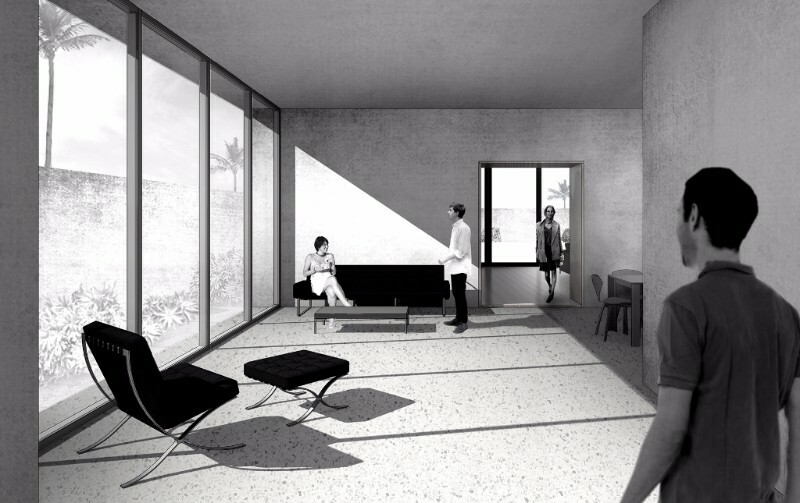 Waechter Architecture has just completed schematic design of the Alta Vista House in Los Angeles. The house is conceived as a series of white stucco volumes spread across the site. As one moves through the building two types of space, distinct from one another, are experienced. The spaces defined within the stucco volumes are concise, room-like and have a focused connection to the landscape through aperture like openings. These rooms "within" are clad with wood paneling to further accentuate a warm and contained feeling. In contrast, the spaces defined between the stucco volumes are free-flowing, dynamic and open to the landscape in multiple directions. Together, these distinct spatial experiences create a rich and varied backdrop in which to enjoy LA's indoor/outdoor living.